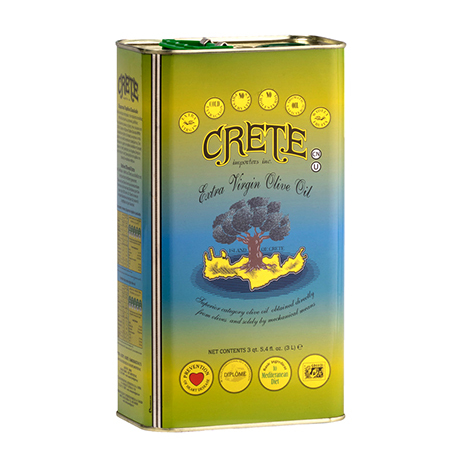 “Ladera (lathera) is a Greek word meaning “in oil”. 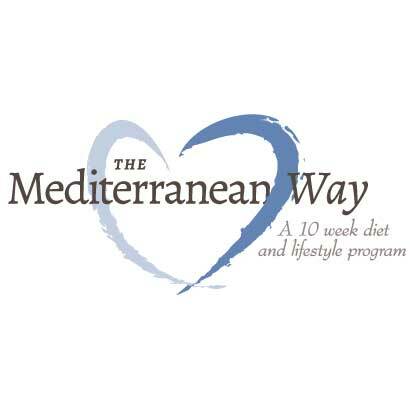 These are the kinds of foods that define the real Mediterranean diet. 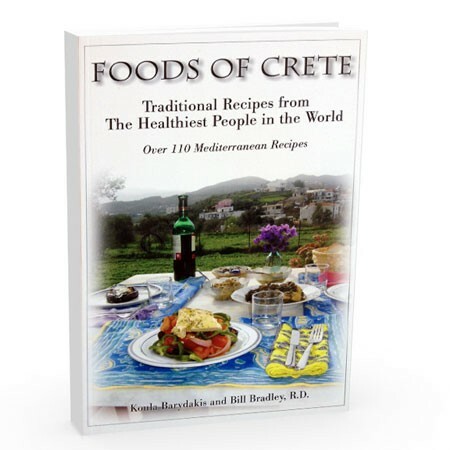 They are mainly vegetarian foods cooked in copious amounts of extra virgin olive oil. 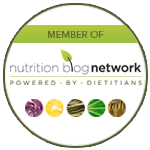 Since meat was eaten scarcely in the traditional Mediterranean diet, people relied on these foods to fill them up and give them enough protein. These are mainly vegetable and bean dishes, but the surprising thing is that they’re eaten as the main dish, not a side dish. 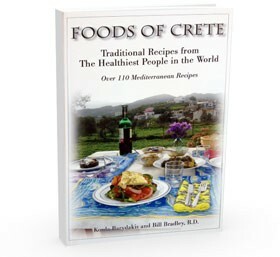 They are still a part of any Mediterranean Diet meal plan. You get most of your calories from extra virgin olive oil when you eat these foods. I love how Ladera foods taste even better at room temperature once they’ve had time to sit and soak up lots of the flavors. Most Ladera taste best in the summer when fresh vegetables are in season. Also, Ladera are eaten mostly in the summer when you don’t want hot food but want to eat lots of fresh vegetables. If there’s one thing not to substitute in these dishes, its the amount of extra virgin olive oil. This is where the flavor comes from and extra virgin olive oil makes vegetables taste delicious. It’s a must to enjoy all of these foods with good crusty bread that soaks up the oil and tomato juices. A perfect healthy summer dish. This dish basically uses up all the veggies you have on hand and cooks them in olive oil. I love using my fresh tomatoes, zucchini, eggplant, and peppers from my garden. As you’ll notice with most ladera foods, this tastes even better as leftovers once the olive oil and flavor have been soaked up by the vegetables. 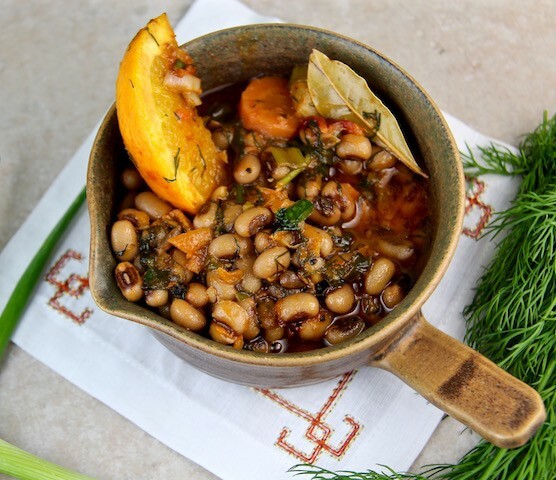 Dill and orange make these beans so delicious. This is my go to one pot meal for an easy but healthy lunch or dinner. Pair this with a Greek salad and crusty bread and you have yourself a meal. Lots of caramelized onions, garlic, and extra virgin olive oil is the base for this dish and what better way to start a Mediterranean Diet recipe? Inspired by a dish served in Nafpaktos at a seaside taverna, I love how all these ingredients work with each other. 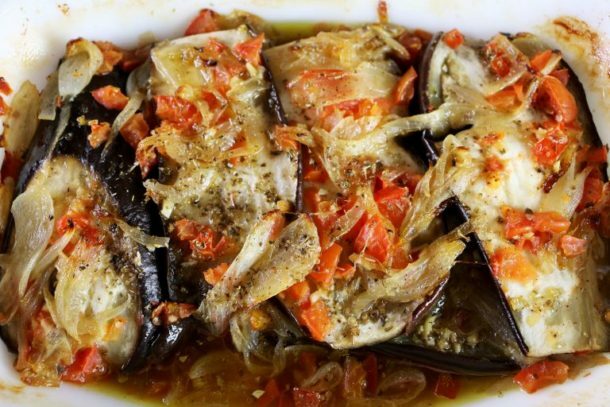 The tomato and olive oil are the perfect vehicles for the eggplant to cook. A generous amount of Greek oregano is the only herb you need for this. 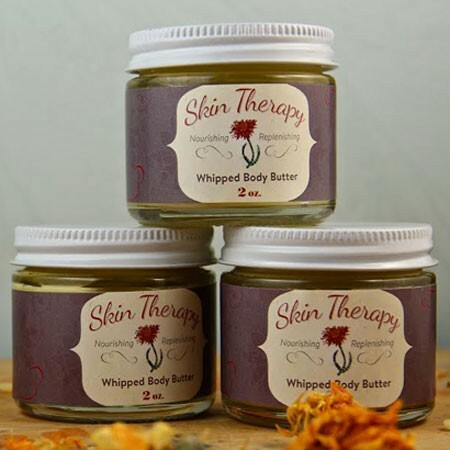 You can serve this as an appetizer or as a main dish served with salad and bread. This is probably the dish most people think of when they think ladera. Thanks to the instant pot, the time it takes to make this is cut in half. All Greeks grow up eating fasolakia and in the summer they crave it. It’s so delicious with fresh summer green beans. Adding a couple of zucchini and potatoes will add texture and make it more filling. I love coming home to the smell of a home cooked Mediterranean meal that has been stewing all day long. This is a super-fast and tasty way to get two servings of veggies per bowlful and satisfy the hungry meat eater. 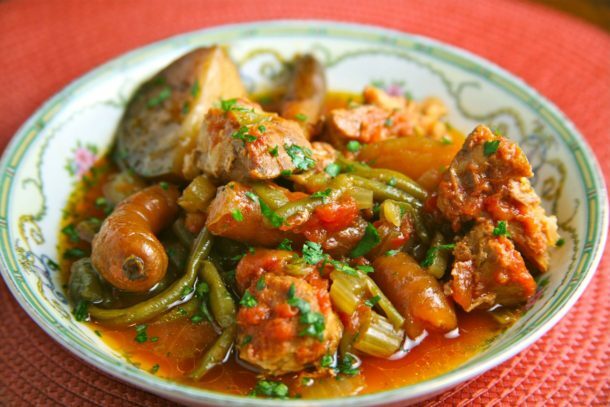 The green beans are cooked to perfection and the meat is tender and full of flavor. Horta (edible greens) and potatoes are a ladera eaten very often in Crete. In the springtime, it’s a normal sight to see the older ladies of the village foraging on the side of the road for wild edible greens. All year long there are a wide variety of edible greens available at the farmer’s markets. 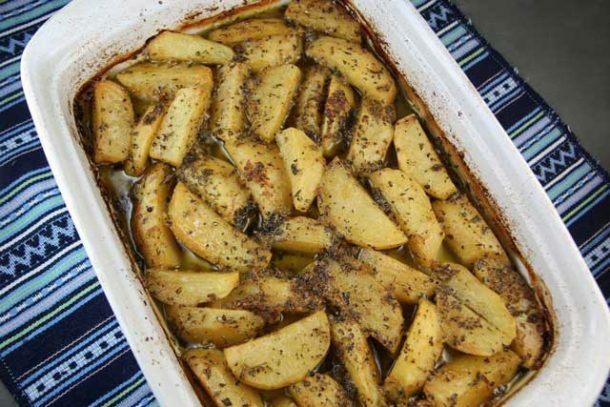 Potatoes are a staple in the Cretan diet. The flavor of both Horta and potatoes are enhanced with fresh lemon juice. Citrus trees grow everywhere in Crete so it’s as simple as walking to the nearest lemon tree and picking them. Combine these greens, potatoes, and lemon with lots of fresh extra virgin olive oil and you have one of the healthiest, inexpensive, and fulfilling dishes from Crete. Lemony, orangey potatoes dripping in olive oil and oregano. These are one of the most satisfying and iconic Greek ladera. Most people use just lemon, but because orange trees are so abundant in Crete, orange is used as well.